I woke up full of optimism. The messages, donations and kindness I’ve received over the past couple of days had been overwhelming. Pure motivation. I ate breakfast and then started gathering the supplies I needed for the next couple of days. The route between Monmouth and Pandy has virtually no facilities. No cafes or shops or even public transport. There’s just one pub en route. So I did what any good traveller would do and obeyed the ‘when in Rome’ rules. Yes, I went shopping in Waitrose Monmouth for food. Had to be done. 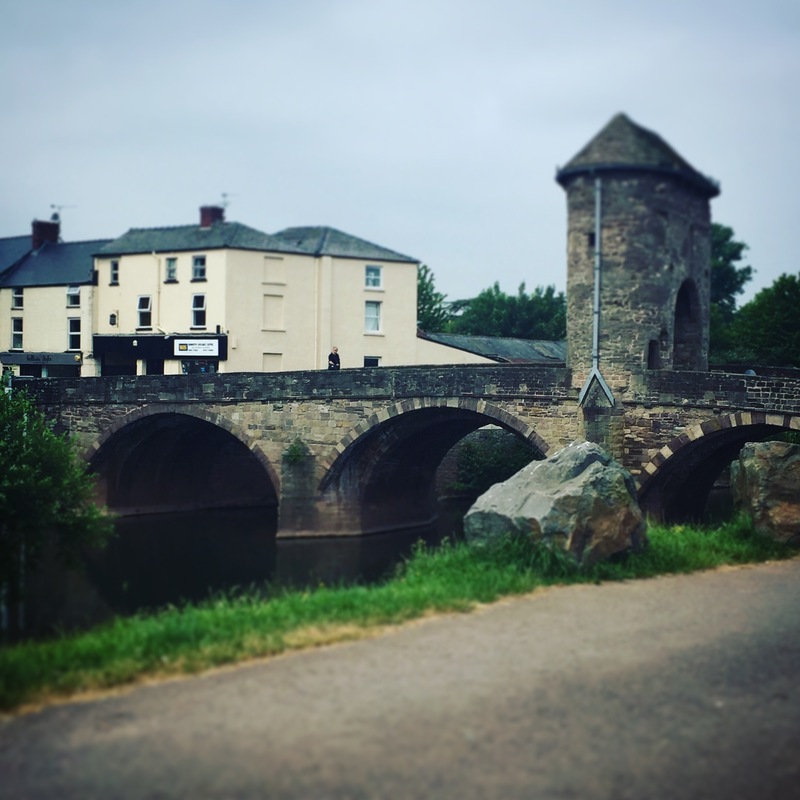 The Offa’s Dyke Path out of Monmouth leads you over the Monnow Bridge, which is a medieval gem and has seen so much history. It’s worth reading up about in order to appreciate it fully. I was soon on the outskirts of the town where men were clearing foliage from the side of the road. “Where are you walking to, miss?”, asked one. I told him about my trek and he said it was amazing of me. His mum had died of cancer when he was just eleven and he’d been on a fundraising mission too, raising £17,000 in the process. “Where d’you put the tap for that kitchen sink you’ve got on your back then?”, joked another. “Cor I bet you were 6ft6 when you started this trek, the size of that backpack!” They wished me well, I said my goodbyes and was soon in the countryside. I felt strong, confident and happy. I walked with a smile on my face and listened to music. I wondered whether anybody else had walked this trail whilst their iPhone blared out ‘Pump Up The Jam’ by Technotronic. There’s a first for everything. Even the sharp ascents into the forest didn’t bother me. I met a man with a West Midlands accent who was a very experienced walker. We discussed routes and different parts of the ODP, where to camp and so forth. It’s always nice to meet fellow walkers and have a good chat about the path that you are both on in order to share information. A bit further on, I bumped into a fell runner who was running the ODP north to south for the Alzheimer’s Society. The main topic of discussion was knees and how to protect them against all that the Offa’s Dyke Path can throw at you. He warned me about some of the hills yet to come and wished me all the best. I hope he raises lots of money for his charity. When I’m following a trail, I’m always on the lookout for waymarkers. 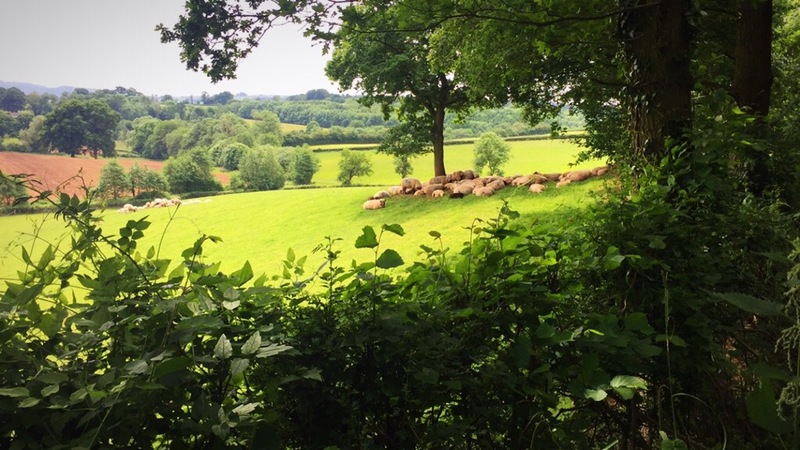 In the case of the Offa’s Dyke Path they come in the form of acorns because that’s the symbol of the National Trails. Sometimes they can be wooden signs, or stickers, or sometimes the words ‘Offa’s Dyke Path’ are engraved down the entire post. Whether I had missed the marker or it wasn’t there at all, I didn’t turn off when I reached Hendre. By the time I realised that I’d missed it, it was too late to go back. I decided to carry on on the road and try to link up with the path further on. I could see the path marked out on my map and made a beeline for it. 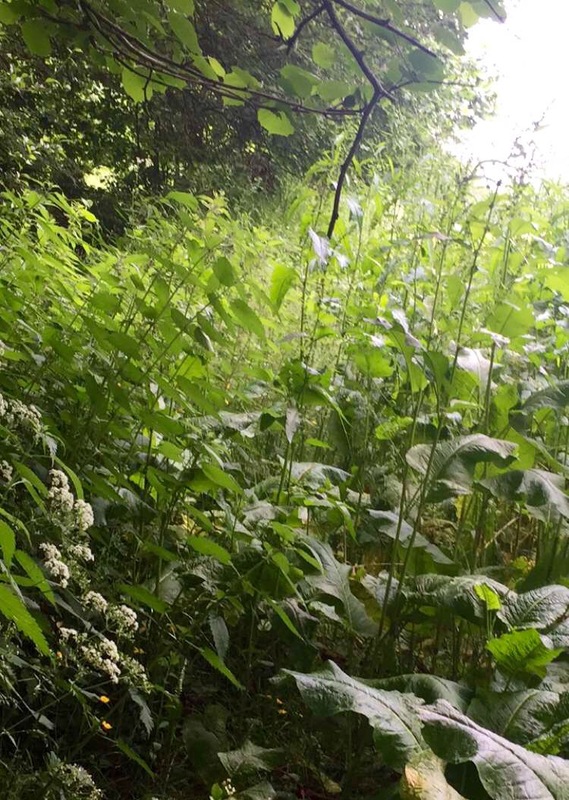 I had to get over another stile though, covered in nettles and then walk through some dense foliage which got worse and worse. This was ridiculous. I turned back, crestfallen. And bitten and stung to bits. I ended up in a random field and heard, “COOEY! Are you lost?” I explained to the husband and wife what had happened and where I’d gone wrong. My best bet was to follow the road apparently, which is what I did. I was back on the same piece of tarmac as I had been more than an hour ago. I refused to get angry with myself and carried on. I got to a little patch of green at a small intersection. I sat down and had some food. Before long, the man and woman who lived nearby had come to say hello. I explained to them what I was doing and Bill immediately gave me £20. I was very touched. After putting the world to rights, I set off towards the path. This time I found it. Relief! I felt a blob of rain on my face. Dark clouds were circling. I strode on harder. But before long I had little choice but to put the rain cover on my pack. It was a bit of respite to have a light breeze after days of sluggish humidity. It got heavier and heavier though, and soon, I was pulling my waterproofs out and yanking them on. Fortunately, Clark Tent saw that I remained relatively dry.